Like all pioneering success stories, Al Saraya Properties W.L.L started with a dream. A constant ground-breaker in developing and managing mega dwelling, commercial and industrial properties, it was founded back in 1999 as a Bahraini based regional and international land acquisition, development and sales operation, at a time when such an upscale venture was yet unthinkable. Branded by its luxurious, dreamy name colorings, Al Saraya Properties is a unique property developer and manager with a high sense of practical innovation, built around time beating cultural and aesthetic values. Our activities are intelligently diversified and widespread through the GCC region, the United Kingdom and the Australia. We build and manage dream properties, sharing with our expanding client base Al Saraya's sustained global growth and success, emphasized through our pioneering spirit of creativity. Al Saraya - timely and adequately - creates and harnesses multipurpose public, commercial and industrial demand waves in the property development sector, leading the market through our inspired, top notch, highly practical building trends. Lona Real Estate, a Bahraini closed joint stock company, was incorporated with an authorized capital of BD 25 million and paid up capital of BD 15 million in December 2007. Shareholders of Lona Real Estate represent a team of distinguished business leaders with acclaimed experience in commercial and international property development. Lona Real Estate is strategically positioned as one of the foremost real estate development companies positioned to deploy lucrative projects, regionally and internationally. Nardin is one of the very few developers who managed to complete developments it had undertaken in the recessionary period. We prefer building home rather than houses and treat customers the way we would want to be treated and never offer customer something that we would not want to purchase. Luxury development from Al Saraya Properties consists of 52 villas, nestled in a peaceful enclave offering 4-5 bedrooms, a private swimming pool, clubhouse, covered car parking and a heavenly living experience. Located on the shores of the Najmah Islands in Amwaj, Orca is a living paradise comprising of state of the art facilities with breathtaking views of the beach and surrounding natural landscape. It’s unique design style combines aesthetic beauty with comfort reflected in a charming world of blue and green shades supported by gardens and pools portraying the energetic spirit of Bahrain. A quiet development of six luxury houses, Vista Villas offers relaxing views of Amwaj set in a picturesque setting with all luxury amenities on hand. Ten exclusive 3-storey villas overlooking beautiful seawaters together with modern design and stylish amenities, including individual communal swimming pools, make for a perfect luxury family home and give The Crescent development a distinctive feel. 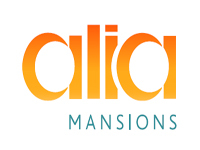 Conveniently located at the entrance to Amwaj Islands, Alia Mansions is the perfect example of luxury and elegant living. This sophisticated residential apartment complex boasts state-of-the-art modern facilities and provides easy access to the island’s recreational amenities. Alia Mansions offers one to three bedroom apartments with unparalleled aesthetics, beautiful views of the canals and sea beyond plus the meticulously landscaped parks and every imaginable modern convenience. A development of 250 villas and apartments split into three residential complexes, Amwaj Homes offers its residents an exceptional, tranquil lifestyle experience. Moor your boat right outside the door at the one-of-a-kind Al Marsa Floating City and take in the views of the canals and elegant homes. With blue skies above and sparkling waters below, experience the splendour of nature when you own a home at Al Marsa Floating City. A pure reflection of breath-taking beauty, Al Marsa boasts a variety of elegant homes and villas that are nothing less than works of art. Designed to portray traditional Arabic styles in perfect harmony with modern amenities, these homes are set in verdant surroundings, striking a picturesque balance with the golden sands of Amwaj. The Floating City has a series of canals where boats may cruise and even park right by their own back garden, making it an ideal home for discerning boat owners and water lovers. Al Marsa is a truly impressive project, conceptualised, designed, patterned and constructed by a leading architecture design firm, Gulf House Engineering, in association with the world-renowned architect and town planner, Bernard Spoerry. 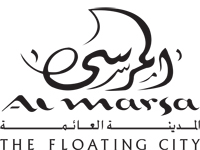 Al Marsa, which means ‘jetty ’or ‘harbour’ in Arabic, is located on the southeastern region of Amwaj Islands, adjacent to the main entrance of Amwaj. Set on a series of interconnecting canals, the project covers an area of 55,000m2, comprising a total of 375 houses, apartments, condominiums and its own small marina, providing many affordable living options. Experience life at Al Marsa where architectural excellence and nature’s wonders converge to create a floating paradise. Zawia Towers is comprised of two 20-storey towers, offering over 300 exquisite residences including duplex penthouse apartments and 1-4 bedroom apartments. The perfect location for a better quality of life – overlooking The Lagoon and with amazing sea views – Zawia Towers offers its residents landscaped gardens, swimming pools, gym, spa facilities and immediate access to The Lagoon. Surrounded by azure waters and with instant access to the Arabian Gulf, the Amwaj Marina offers excellent services and facilities for boat owners, including state-of-the-art German berthing pontoons that can accommodate up to 141 vessels, plus space for short-stay visitors who arrive in Bahrain by sea. The marina also provides easy access to a number of offshore attractions, including Jaradah Island, one of the most beautiful destinations in Bahrain, and is host to several eminent events throughout the year including the prestigious Bahrain Boat Show. With its six-meter deep-water docks, Amwaj is the only marina in Bahrain capable of accommodating super-size yachts up to 75 meters in length. The Sea Loft features 58 well-designed and contemporary chalets. Spacious living and dining areas, state-of-the-art kitchen, and a private deck overlooking the beautiful sea or the pool and an exclusive parking area characterises every chalet. Offering a choice of three and four bedroom en-suite villas with spacious open-plan living and dining rooms, private veranda and separate relaxation areas. Other amenities and services include a personal chef, swimming pool overlooking the sea and much more. Design the details of your own home and live in luxury and style at Sea Lofts, one of the most exclusive communities within Amwaj Islands. 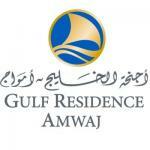 The Residence is located on the main road of Amwaj Islands. Designed by Middle East Architects and developed by Saraya Properties, there are two towers of 15 and nine floors, with 54 and 48 apartments that enjoy views of Al Marsa Floating City. Residents have access to a health club, pool, playground, car park and 24 hours security services. Meena 7 is a modern village, positioned on the south side of Al Marsa Floating City. The development overlooks pristine waters, golden beaches and verdant greenery and consists of seven blocks of apartments with swimming pools, fully equipped health club, round-the-clock security and many more modern amenities. Lagoona is a development from Al Saraya Properties consisting of eight modern Bauhaus style townhouses, in different sizes, with 3 bedrooms, beachfront access, 24-hour security, terraced garden and swimming pool. Fay Beach offers twelve luxury beachfront villas with 4 bedrooms, terrace, a huge living room, covered car parking and garden for each villa. A dreamy destination of pure indulgence and comfort, Fay Beach is simply out of this world. Each villa comes with its own pool, garden, and covered car park; it’s all you need to lavishly immerse yourself in luxury and pleasure of nature’s solitude. The Peak comprises 52 lavishly furnished and semi-furnished apartments spread over 15 storeys. Located on Asdaf Island, the spacious apartments range from 2 to 3 bedrooms, offering lavish living rooms, dining rooms and kitchens. The much sought after apartments, developed by Al Saraya Properties, are available for sale, rent and also the alternative lease-to own scheme. Beach access, a swimming pool and health club facilities are available. Residents can also enjoy free Wi-Fi and satellite channels, provided by Nuetel Communications, along with ample car parking space and 24 hour security. The essence of modern urban living is one that features stunning contemporary architecture and a wide range of recreational facilities. This ultramodern 15 storey residential project has 16 apartment buildings that provide scenic views, and a spectacularly landscaped pool central to each ‘wave’. 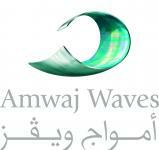 Amwaj Waves houses a total of 1,106 apartments split into one to three bedrooms and penthouses. Each ‘wave’ has its own communal pool, children’s play area and BBQ area, along with access to a gym, cafés and shops within the premises. · Two of the four buildings, comprising 171 fully furnished apartments, will be operated by the Gulf Hotels Group, with the excellence and standard of service you can expect from one of the leading hotel operators in Bahrain. · There is also a further two buildings, 7 & 14 storey, with 135 luxury residential apartments and penthouses, finished to the highest standards, which are available for freehold sale. This luxury development also includes an incredible array of recreational features, including 3500m2 landscaped podium gardens, spa health club with gym, children’s swimming pool, main swimming pool with Jacuzzi, interactive fountains, BBQ areas, private cabanas and a children’s play area. the golden sands of Amwaj. Zawia 3, the newest of the towers, is a high-rise residential tower which boasts 239 luxury modern apartments of 1, 2 and 3 –bedrooms as well as four 5-bedroom duplex penthouses, each with a private swimming pool, and two 1-bedroom penthouses. 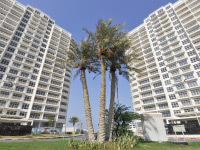 Set in the heart of Amwaj Islands, the tower offers its home owners breathtaking panoramic sea and city views. Designed with tenant’s convenience in mind Zawia 3 features lavish high end facilities including the island’s biggest swimming pool, 2 children’s pools, 2 gyms (ladies’ and gents’) steam and sauna rooms, parking for all units, an elegant reception area with integrated convenience shops. The prime location in the proximity of the Lagoon Park allows the tower’s residents to indulge in the diversity of restaurants, cafes and spa facilities or to simply enjoy a leisurely stroll around the shops.